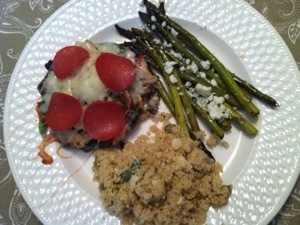 I served these tasty personal pizzas alongside a quinoa salad and roasted asparagus sprinkled with blue cheese. Quick Tip: Wrap a few garlic cloves in aluminum foil (drizzled with evoo) and roast in the oven alongside the mushroom caps. I love Fellini’s Pizza. Now I love that I can make it at home. Swing by any Fellini’s (or another pizzaria…most of them sell their dough) and ask for a “large dough.” Once you get experienced with pulling the dough, you can actually get four pizzas out of one large dough. 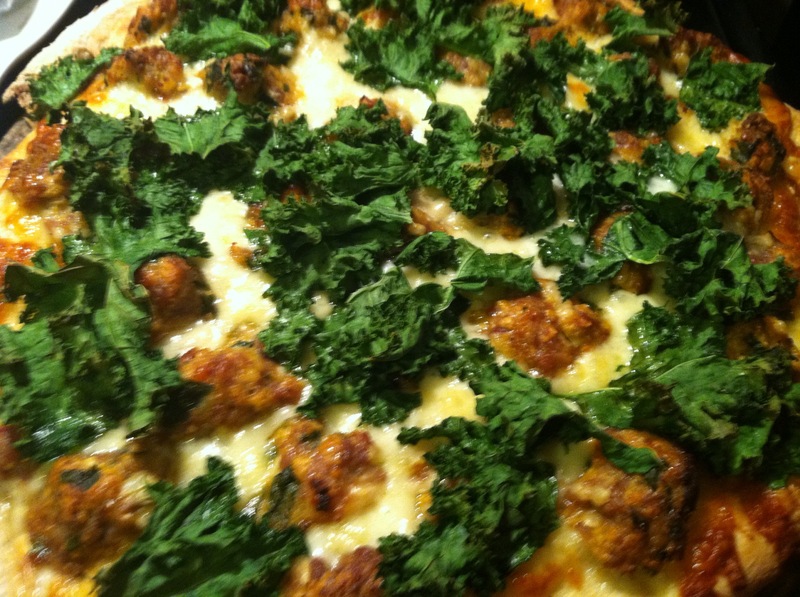 We’ve been trying out lots of different pizzas and sauces. Every single one has been delicious. When you get the dough home, roll it out with a rolling-pin, being sure to dust your surface generously with flour. Try picking the dough up, once rolled, and using your hands to stretch it thinner — you’ll get better with practice. I promise. 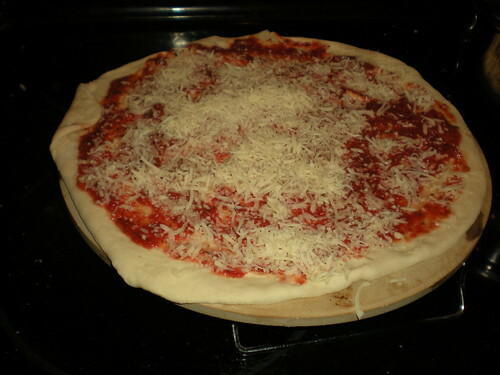 Lay the dough out on a hot pizza stone, top with whatever sauce, cheese and toppings you like and pop into a 400 degree oven, on the lower rack (this cooks the crust perfectly and won’t burn the cheese on top) for about eight minutes. 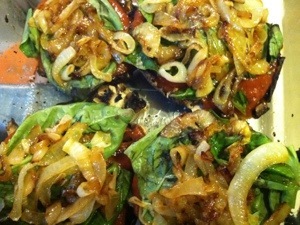 When it’s ready, slice into pieces and serve with parmesan cheese (it’s okay to use the stuff in the green container on pizza) and red pepper flakes. To throw an awesome Pizza Party, it’s good to have two pizza stones. As one is set on the table for your friends to eat, you can be getting another pie ready and in the oven. Jim and I did this for seven other friends while we were on vacay together and we made eight pizzas — putting a new one out about every ten minutes. It was a hit and soooo much fun! We’ll definitely be doing it again! 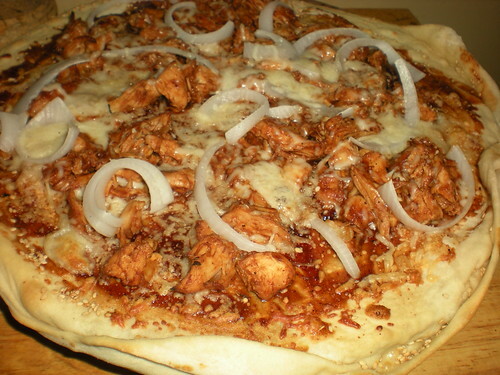 Note: To make one BBQ chicken pizza, I grill one chicken breast on the Panini Maker, then shred once cooked. I add it to pot with about a cup of bottled BBQ sauce and heat it all through on low, about 10 minutes or so. Then it’s ready for a pizza! 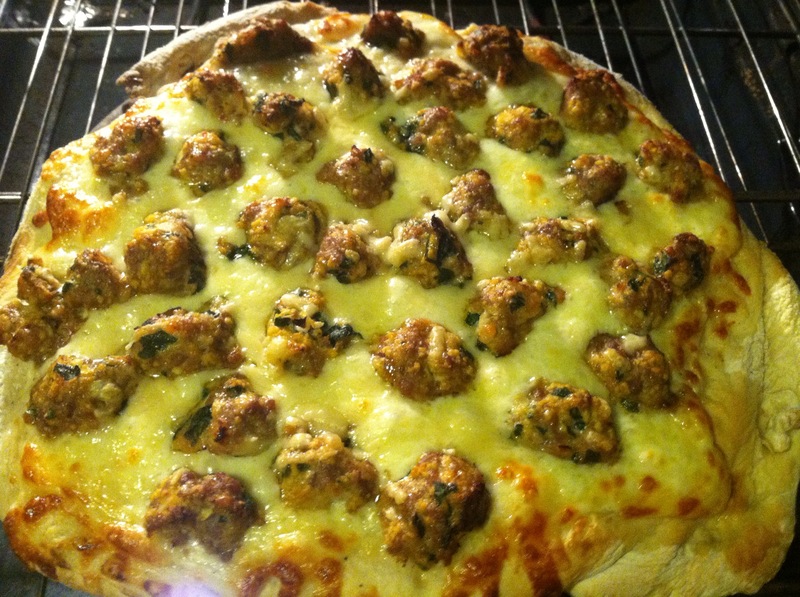 Some of the most delicious pizza I’ve had was homemade on Friday night and prepared on the Big Green Egg. 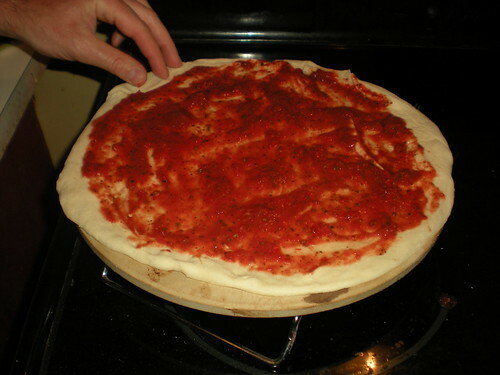 I made a batch of marinara from scratch and we took it to our friend’s place (where the Egg is nestled) and made four different, delicious pizzas. 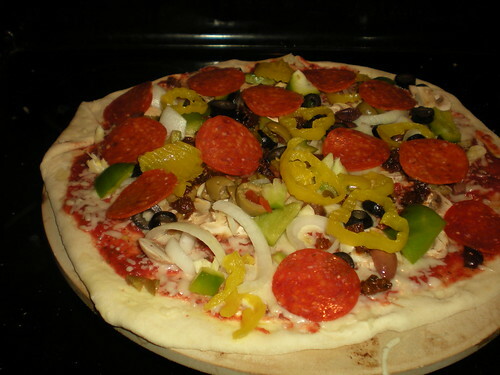 We used premade, refrigerated dough and layered on the toppings. The Egg was a hot 550 degrees and each pizza cooked for about 7-8 minutes. 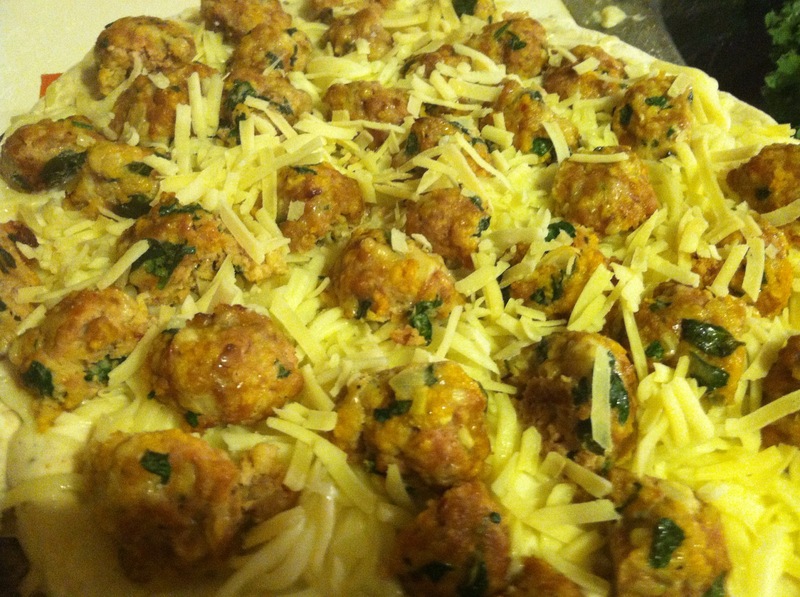 The first pizza was all cheese (and turned into a calzone — working with dough can be tricky!) 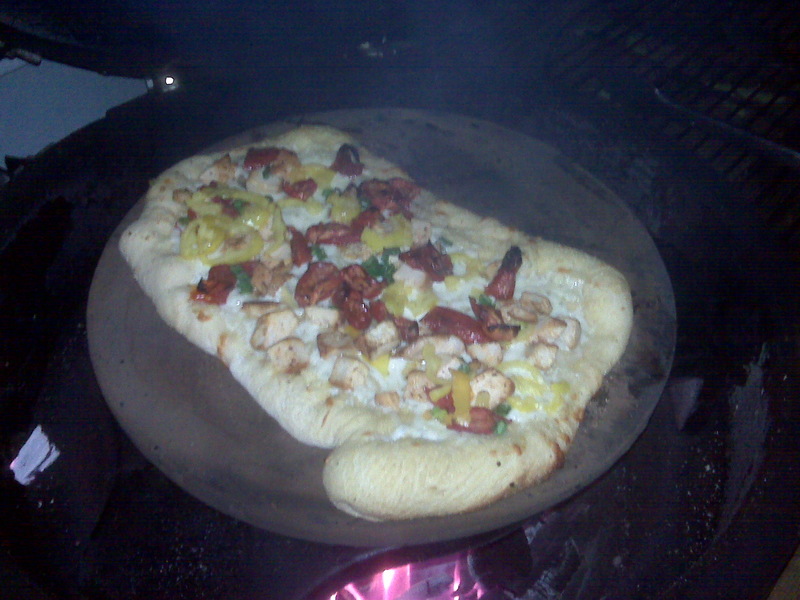 One was a “white” with blackened chicken, mozzerella, red onions, banana peppers and sun-dried tomatoes. 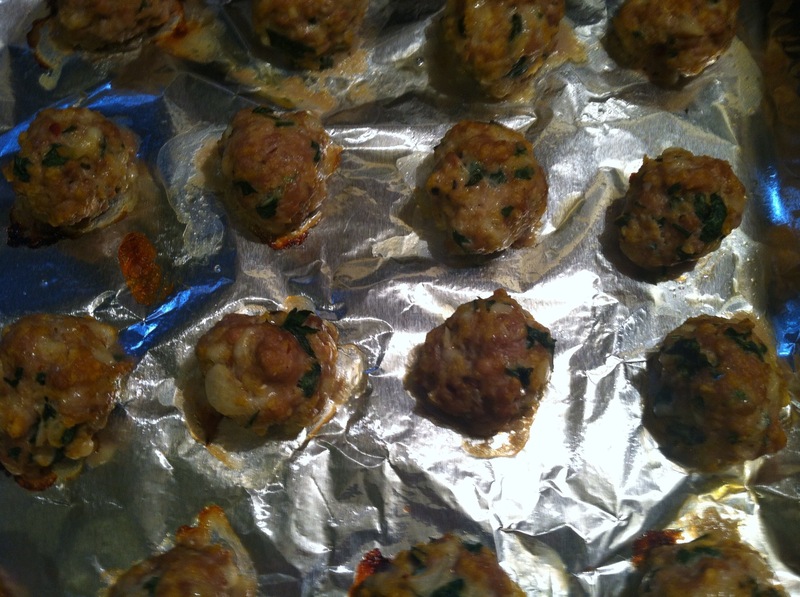 Another had roughly chopped salami, green onions and fontina cheese and the last concoction had a little of everything. The crust came out thin and crispy with a nice smoky flavor. 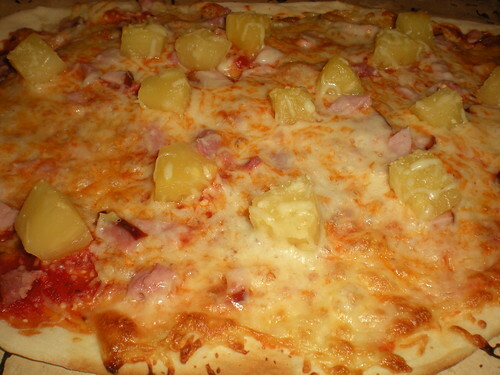 I can’t wait for the next pizza party!